All the participants are taking on a different element of planning pertaining to teaching music and I have concert planning! I love planning concerts. If you notice, I didn't say program planning. I've got to give you a little background here. 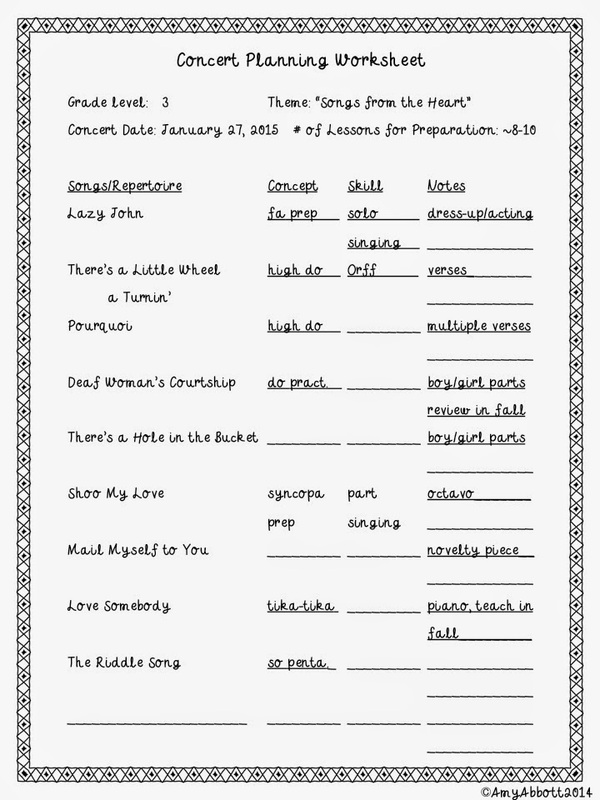 When I started teaching I used those super cute, predone musicals that had speaking parts. The parents loved them, the kids liked them and I was okay with them. Now, before I go on, I don't want you to think that I'm going to start bashing pre-made musicals or if you do things differently I don't think what you do is right or wrong. I'm just going to state where I am in my teaching and what I do. That's the beauty, we all do things differently and there's no "right or wrong." I struggled with the pre-made musicals and here's why: I felt that I was spending more time teaching speaking parts and less time teaching music. When I started teaching I saw my students for an hour a week. Then when I started teaching in my current district I was seeing the students on a 3-day rotation, where the students have music for 45 minutes every 3rd day. At my current school, as we've grown, some classes are now on a 4 day rotation (music for 45 minutes every 4th day). Next year? My 3rd and 1st graders will be on a 5 day rotation. That means the kids will have music 45 minutes once a week. I can't rationalize spending time teaching speaking parts, I want my students making music. So, for MANY years now I've been doing concerts instead of programs. There are not speaking parts. And the parents don't complain, in fact they love them. Again, I'm not right and someone else is wrong. If you do speaking parts I'm in no way saying that's wrong, I just don't do them. A theme. Yep, I don't do a pre-done musical but I do like having a theme that ties the song literature all together. Often times I will also look at the grade level curriculum that the classroom teachers are working on to see if there's anything I can piggy back on. For instance, my 2nd graders study weather systems so I did a rain themed concert one year. The 4th graders study Colorado history so I DO use some Colorado songs that were written by a retired CO music teacher. Song literature that fits the theme. Part work: I like to have at least one song in which kids are singing harmony with each other. .. 2nd-5th grades. SOMETIMES even in 1st grade. Instrument work: I like to have one song that the kids accompany themselves on with Orff Instruments. Piano: I have a number of students that play piano and at ALMOST every concert I have a student accompanist. Granted, the accompaniment is sometimes very simple, but they love it and the parents love to see a student accompany the kids. Solos: I do like to have at least one song that has singing solos. Let me walk you through a concert that I'm working on right now. I mentioned that my 3rd graders will have music ONE time a week (did you hear that? It was the sound of my heart breaking. . . ugh. This is my class that sang a two part octavo last year on their second grade concert and did a beautiful job with it. Do you know how much I was wanting to do with them. . . . maybe I still can but that's really going to depend on amazing lesson planning. . .which you'll read about next on Aileen's blog.) Sorry for the tangent. Back to 3rd grade. First I picked a theme. Their concert is the end of January. (Yeah, forgot to mention that the first thing I do is set concert dates. You'll see in my download that I have a check list for you and that's my first thing!) I was wanting to do "Songs from the Heart" in February but due to Parent/Teacher Conferences I couldn't. So, last week of January it is and I'm keeping the theme. Yes, I usually do 9-10 songs on a concert. But, with no speaking parts I've got to have music to fill in, lol! it's great because I can bring it back the following year in 4th grade for fa, it has solo singing parts AND there's "acting out" parts. There is a boy and a girl solo. The girl asks the boy to marry her. Every time he has an excuse, he doesn't have socks to wear; he doesn't have a shirt to wear; he doesn't have pants to wear, etc. Then the girl "runs out and gets it". And every time the girl runs to get something that the boy needs to wear he put it on. I like to have the kids use my dad's old red suit. It's super cute to see this little 3rd grader getting dressed up in an adult suit but further more, it's a great "seed" for a fa song. Deaf Woman's Courtship- this is too sweet and they will sing it at the beginning of the school year to review do so I won't really have to "teach" this song for the concert. By the way, with this concert, I have all the boys on one side of the stage and the girls on the other. So, when the old man asks the woman to marry her all the boys (on stage left) get down on one knee. Visually it's very cute. There's a Hole in the Bucket- this will be a review song because we sang it for fun at the end of this year. Shoo My Love- I have an octavo for this so we'll do part work. Mail Myself to You- this is a "novelty" song in that there's not so much purpose behind it on selection because of concept or skill but chosen because it's fun to sing. Love Somebody- they'll learn this in the fall for tika-tika. Again, it's nice to have some songs that you bring back and it saves concert prep time. 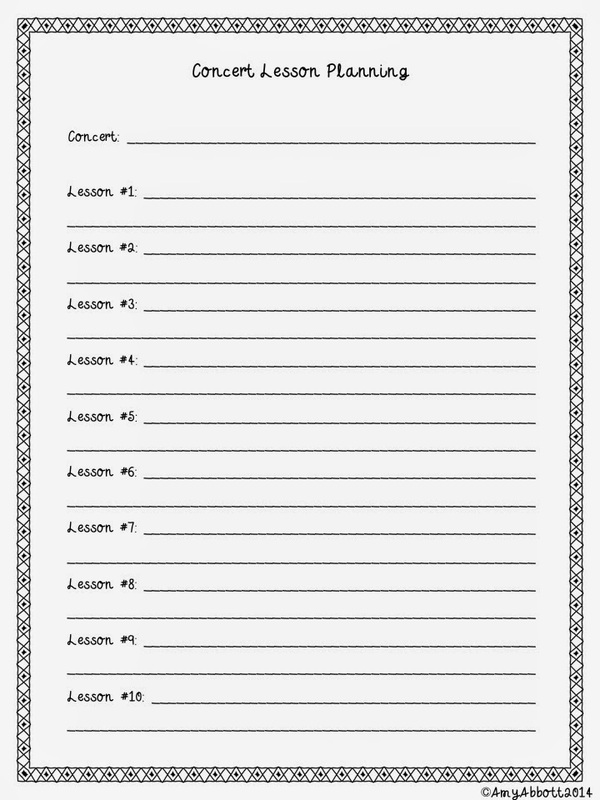 The Riddle Song- this will be great when we learn about so pentatonic. It's really a beautiful, slower song and we might be able to work on a dulcimer accompaniment with it. 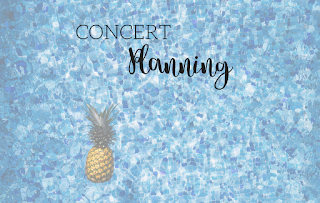 From there, I scope out how many lessons it will take to prep for the concert and what I want to get done at each lesson for the concert but also allow time for teaching and other work. Thank you so much to Lindsay for hosting this blog hop! I hope you enjoy the hop! Thanks Aileen! I know you like to do your own too! I can't wait to dive into a couple of them this summer! 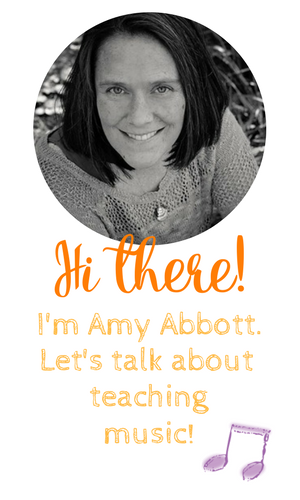 Thanks, Amy for joining the blog hop! Can't wait to use your program planning resources this year! Do you "divvy up" songs among classes? I only have my students for the same amount of time as your 3rd Graders, and my K-1 students only see me every six school days. I'd like to increase the amount of songs per performance, but that can be hard to justify with the time constraints. Hi Jacob, with songs that have MANY versese I've done that a couple times. I also look for songs that have lots of patterns or tell a story, that helps with song memorization. With the concert examples that I gave 3-4 of the songs they will actually learn in the fall when working on other concepts. So, when you're mapping out your year and you're looking at concepts that you're going to teach try to choose some song literature that you can bring back for the concer (and make a little more "showy" and that helps too. Then you don't feel like you've dedicated a lot of time to concert prep. Thanks for the reply, Amy. I definitely appreciate you mentioning choosing repertoire that has teachable moments. With time constraints, literature selection is extremely important. Thanks for the downloads. Lastly, if your blog's name is a double entendre (Musical A. Abbott), you are a genius! I create my own programs. I LOVE love LOVE to pick a theme and just go crazy with it. Actually...I would do everything with a theme if I could...room décor, baby shower, weekend bbq, clothes, food...LOL! Thanks for sharing your ideas! Do you have any youtube or shareable videos of one of your concerts? I would love to see a concert done in this type of format. 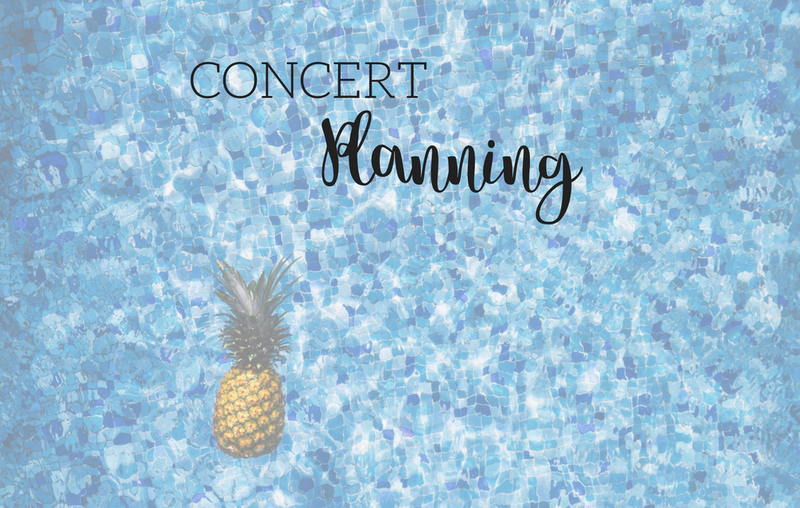 I've become very discouraged in my concert planning because I feel like "music learning" gets pushed aside to get ready for concerts. Most of the songs I've been using are too difficult to use as teaching songs. I would love to see what you or others have done for concerts using the folk songs used to teach rhythmic and melodic concepts. Thanks to you and all the others for sharing your ideas on the blog hop! I love "Lazy John!" I was wondering if you did anything special on the last verse, after he has put on all of the various clothing items. Do you have any ideas for wrapping it up at the end? Thanks!